What is a Mobility Walker? People who need help with their balance may use a walker. A walker with wheels doesn't require the user to raise it off the ground with every step. 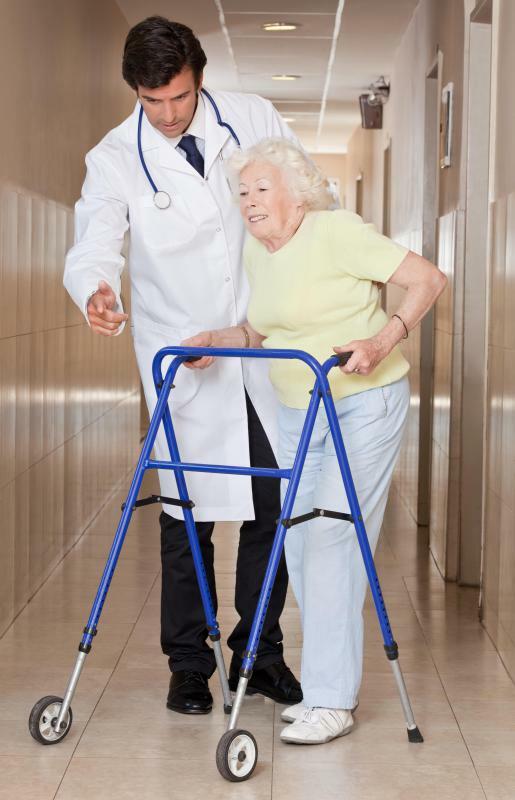 A mobility walker is commonly associated with the elderly. 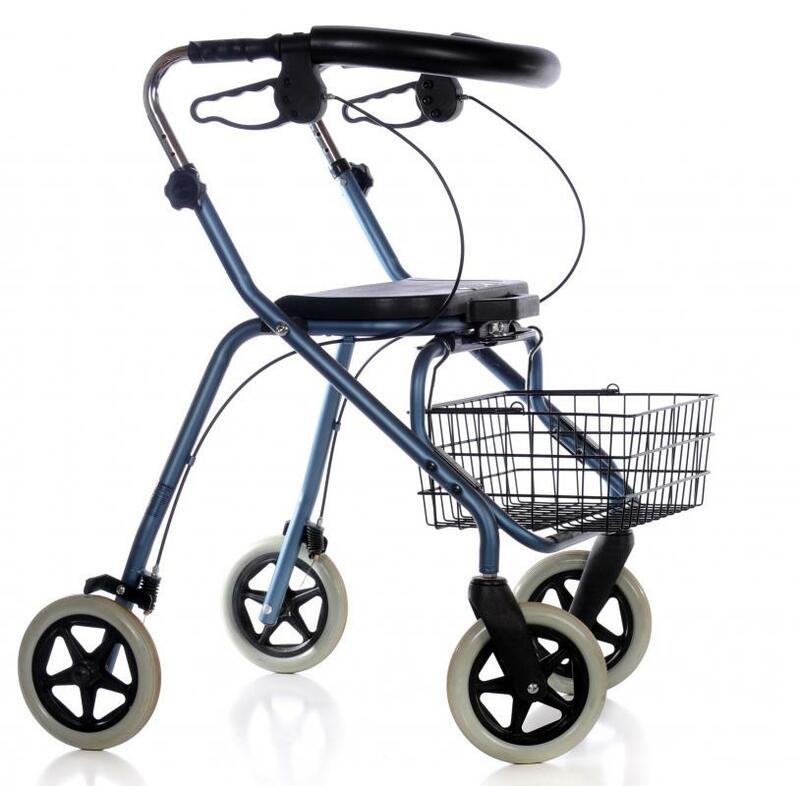 Four-wheeled walkers are generally more stable than two-wheeled walkers and also offer a seat for the elderly or disabled to use when needed. A mobility walker is a device that offers support and stability for someone who needs help while walking. Also called simply 'walkers' and 'walking frames,' these devices are usually lightweight metal frames with four legs that are adjustable to different heights. 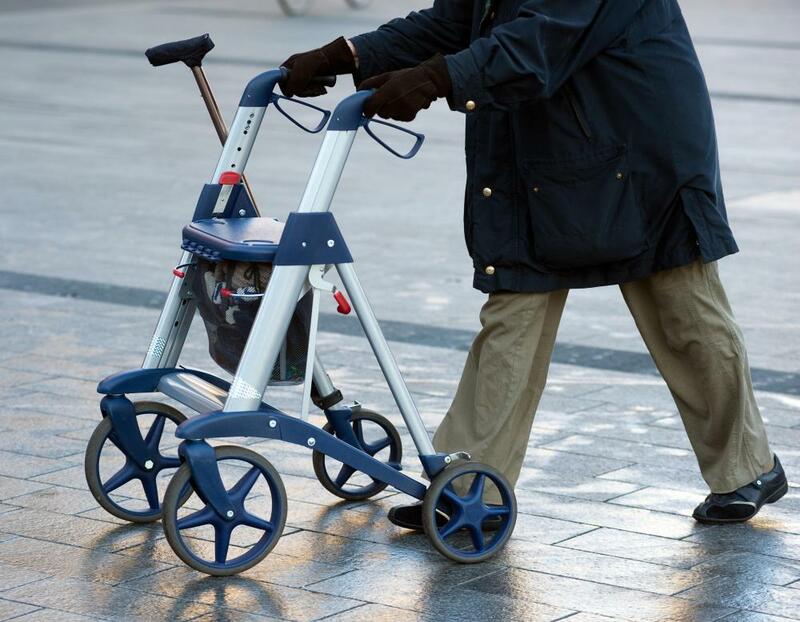 There are a few types of walkers, from those of a fixed height to those with large wheels and a seat, to allow the user to rest when necessary. People who have difficulty maintaining their balance or who need something to lean against while moving can benefit from a mobility walker. A rolling walker is a type of mobility aid that offers a minimum amount of support. People who have little difficulty walking but need something to help them balance as they move can benefit from rolling models. If the walker will be used to actually lean against, one without wheels is much safer. Geriatric walker styles usually have stationary legs. Many people who need something between stationary and rolling support put things like tennis balls on the legs. This gives the mobility walker more resistance than wheels, but still allows it to be pushed, eliminating the need to lift it every few steps. A folding walker is convenient and easy to load into a car trunk, back seat, or any small space. These typically have sides that fold in, one at a time, to make the frame almost flat for easy carrying. At the other end of the spectrum, a walker with chair attached isn't a space saver. This type of mobility walker is ideal for someone who uses it often for long periods of time. The chair allows a person to sit and rest if fatigue or dizziness occurs. It is also a good option for someone who doesn't want to stand for a long period of time while out sightseeing, shopping, or enjoying other activities. 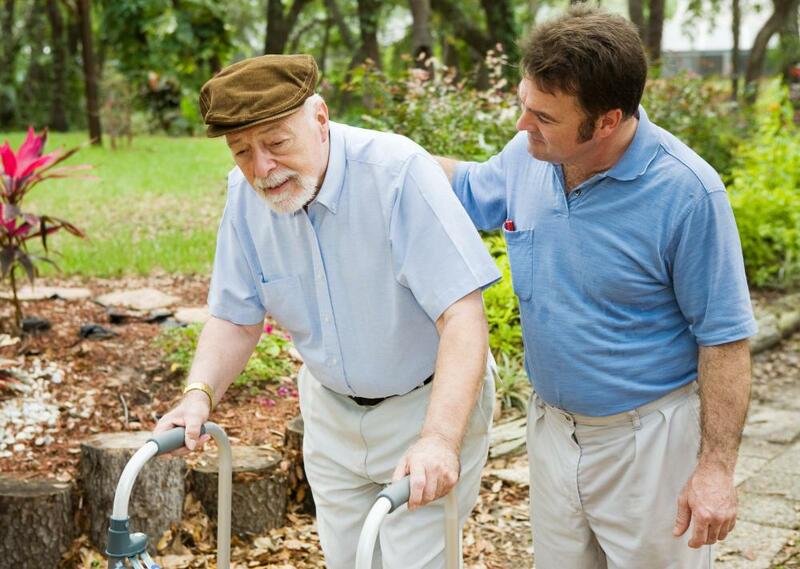 A mobility walker is commonly associated with the elderly. People often need help with balance and stability as they age. Walking frames can be used by anyone of any age, however. Recovering from surgery can be made easier by using a mobility aid, like crutches, braces, or a walker. Some people also have disabilities that make getting around difficult, and a mobility walker can help them be independent. A variety of chronic conditions, like arthritis, may also make using a mobility walker a good option. Stroke victims and people in recovery from injuries like broken bones can also often benefit from using this type of mobility aid during rehabilitation. What are the Different Types of Geriatric Chairs? How do I Choose the Best Rolling Walker? What are the Different Kinds of Walker Parts? What is a Mobility Chair? How do I Choose the Best Folding Walker?